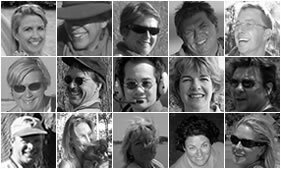 All The Safari Awards Judges have been nominated by the previous years awards winners and finalists and are unquestionably the most highly-respected, knowledgeable independent tour operators selling safaris. The judges sit at the head of the Safari Guild, ensuring that the lodges, camps and operations presented both in the guides and in the Awards really are the best in Africa. To take a closer look, please visit our Judges page. Since their inception in 2008 the Safari Awards have gone from strength to strength, and are now regarded as an industry gold standard. The 2018 Safari Awards included 15 award categories. please visit our 2018 Results page. please visit our Past Results page. Over 4,000 vetted tour operators, travel agents and travel journalists are invited to vote for the best safari camps, lodges, houses, mobile and riding operators, and wildlife organisations. This creates the 'awards nominees' list that is published on our website. Every nominee is then notified by email of their nomination and they may contact their opt-in mailing lists to gain support from their customers. The Judges are sent the entire database of nominees and the supporting comments from customers. This is followed by a few days of reflection where Judges can discover more about specific nominees culminating in an online voting process where each Judge selects their 'top five' in each category per country. This creates the 'Judges Shortlist' of about 200 safari camps, people and operators. This list is sent to all Judges who conduct further research on the 'short listers' to become better informed. Following a global webinar where they can share their own experience of the 'short listers' and discuss newcomers all Judges are then required to vote for the 'top five' in each category. This creates the 'awards finalists' to be revealed by 1 November. From May to September the Judges visit as many finalists in their designated countries as they are able. This provides a recent and in depth understanding of those particular finalists that is shared with all Judges in October each year. At a final judging conference the Judges select the winners in each category and the results are revealed in November. All awards voting systems are flawed in some way but we believe our process to be transparent, thorough and effective. Your votes are vital and will be much appreciated by us and the safari companies you support. The voting process should not take more than twenty minutes of your time. Is the Safari Awards truly independent? Yes. We do not sell travel and we have no commercial interest in any nominee. As long as you are registered with Safarilink, there is no cost to participate in the Safari Awards. We just ask that you complete your profile, add images etc for your page to appear on the Safari Awards website. Are the Awards just about Africa? No. As of 2015 a nominee can be from any country in the world, as long as it is all about wildlife travel. Should I canvas for votes? We advise you not to canvas the judges however nominees should certainly use their nomination as a tool to contact their past guests, and ask for support. This tells the guest that you have been nominated in the prestigious Safari Awards and reminds them how good you are! They will give their feedback when they vote and this will be sent to the judges if you make the shortlist. How do I make the shortlist? This is purely by numbers - you need to get enough support from past guests and from the trade. Where and when does the Awards Announcements take place? This changes year on year, but is usually in November. How can a nominee interact with the Safari Awards / Good Safari Guide community? We are always happy to publish information (news, specials etc) about Awards Nominees- just send content over to editor@ goodsafariguide.com and we will endeavour to publish it on our site and out in our newsletter. Any tips for making the most out of a nomination?